Division spy Christy Hadden can't wait for her latest assignment posing as a student at a prestigious New York City academy and car thief extraordinaire. The best part of the mission is her attractive handler, Jeremy, and her new team. The worst part? The sociopath masquerading as the academy's most popular guy. But soon she realizes the car thieves are much more than they seem. Her simple spying mission becomes more dangerous than anyone imagined. If the organization discovers her true identity, they won't hesitate to kill her, and if she fails, others will suffer the same fate. Young Adults, teens and adults will love this exciting suspenseful adventure with a dash of romance. You won't want to put it down. “Someone you want on your side.” His voice was serious, deadly. 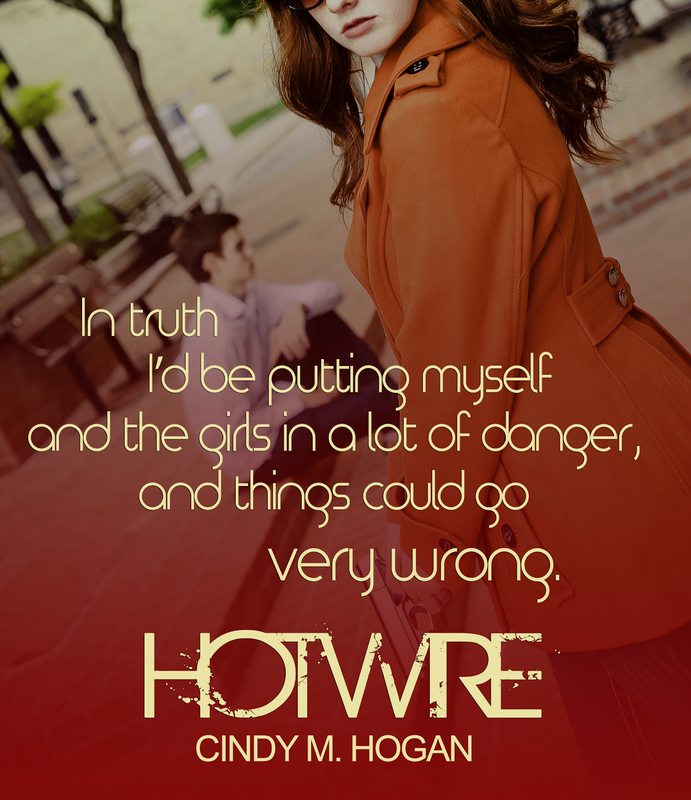 Cindy M Hogan is the bestselling and award winning author of the Watched trilogy, a YA suspense series with a dash of romance. She has since branched off to write a mystery, Gravediggers, that won Best YA novel of 2013, a contemporary romance, Confessions of a 16-Year-Old Virgin Lips, and the first in a spy series, Adrenaline Rush, the 2nd of which, Hotwire, is due out in Oct. 2014. She graduated with a BA in education and is inspired by the unpredictable teenagers she teaches. More than anything she loves the time she has with her own teenage daughters and wishes she could freeze them at this fun age. If she's not reading or writing, you'll find her snuggled up with the love of her life watching a great movie or planning their next party. Most of all, she loves to laugh.